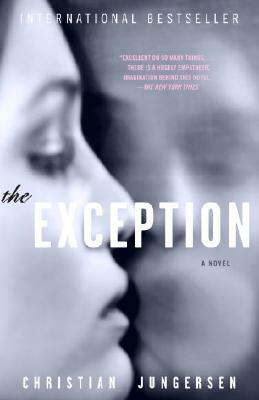 An internationally bestselling thriller, The Exception dissects the nature of evil and the paranoia that drives ordinary people to commit unthinkable acts. Four women work together for a small nonprofit in Copenhagen that disseminates information on genocide. When two of them receive death threats, they immediately believe that they are being stalked by Mirko Zigic, the Serbian torturer and war criminal they recently profiled in their articles. Yet as tensions mount among the women, their suspicions turn away from Zigic and toward each other. The threats increase, and soon the office becomes a battlefield in which each of the women's move is suspect. Christian Jungersen's first novel Thickets won the Best First Novel award in Denmark in 1999 and also became a bestseller; The Exception is his second novel, his first to be translated into English. He has recently taken up residence in Dublin, Ireland but returns frequently to Copenhagen. "Excellent on so many things. . . . There is a hugely empathetic imagination behind this novel."